It was a bittersweet birthday for CarShare Atlantic as the Halifax company celebrated its 10th anniversary last month. The company’s co-founder and CEO, Pam Cooley, announced that she will step down from the position in February. 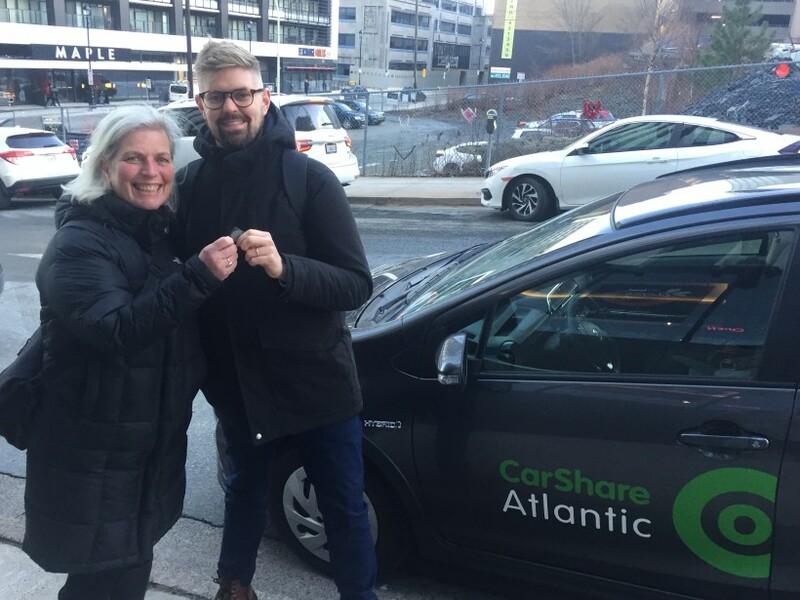 CarShare Atlantic is Halifax’s first and only car-sharing network. Its members share a fleet of vehicles which can be booked any time via web, mobile app or through a hotline and picked up at one of the 50 CarShare stations located within Halifax or Dartmouth. Car-sharing allows people to drive a vehicle when they need it, without the worry of insurance payments or maintenance costs. Cooley started Car Share Atlantic shortly after she moved to Halifax in 2008. After living in Vancouver for 25 years, she was struck by the city’s lack of car-sharing services. Car sharing has been around since the mid 1980s and is popular in large European cities. Cooley and co-founder, Peter Zimmer, started CarShare Atlantic in Halifax with only nine cars. Today, the company owns over 70 vehicles, most of which are hybrids, and serves over 1,600 members. In 2011, Cooley reached out to Communauto, North America’s first car-sharing service, headquartered in Montreal, and forged a partnership that still remains today. Because of this partnership, CarShare Atlantic’s staff in Halifax remained relatively small. Cooley built a team of three full-time staff, one of whom is Tim Callanan, who will oversee the company when Cooley leaves. Callanan, an avid user of CarShare’s services, joined the CarShare team in 2017. He is now responsible for a company that has already laid the foundation for new high-tech mobility solutions, like autonomous vehicles, to integrate into the city. “Where mobility is going, this is going to be a huge disruptor. But Halifax is already on the path of being on top of that because we have car-sharing,” said Cooley. When Cooley started CarShare Atlantic in 2008, not many understood the concept of car-sharing. Now the company has amassed hundreds of users and car-sharing is a part of the city’s Integrated Mobility Plan. Cooley will continue as President of her other business, Choosethical Ventures Inc., which helps to facilitate collaboration between business, government and NGOs. And as the mobility industry steers down new roads, Cooley feels confident about those she’s left at the wheel.